“I’ve Decided to Live 120 Years,” a new book by best-selling author Ilchi Lee, has one of the most intriguing titles of any new book of recent memory. After all, who wouldn’t like to learn “the ancient secret to longevity, vitality, and life transformation” the author promises to provide. The basic message in Lee’s book is simple. Anyone can decide to live longer by refusing to place an expiration date on their life span. That message really resonated with me, since I’ve often thought living to 80 or early 80s, (ages of my parents when they died) was my destiny. Lee’s inspirational message encouraged me to think in terms of a longer, more fulfilling life. Why not plan for another 20 or more years after reaching the milestone age of 80? As long as a person is healthy, has a positive attitude, and stays involved in life and in other people’s lives, it seems not only possible but probable. I am grateful to Ilchi Lee, a visionary who has penned over 40 books along with founding Body & Brain Yoga and Brain Education, plus establishing the Earth Citizen Movement, for this eye-opening, thought-inspiring book. It sells for $19.95 and is available at amazon.com or ilchi.com. “Let the Rain Pour Down,” a novel by Raegan Lane, is a book written by a teenaged prodigy from Mansfield. Full disclosure: Raegan also happens to be related to me, since she is my nephew’s daughter. Her heroine, Raine Carmen, is a young woman who becomes part of an outcast group when she answers a survey at school. This outsider novel is about students who identify as atheists. These students are taken from their families and placed in a special prison-like institution where the government tries re-education programs to change their beliefs. Raine and a few like-minded friends band together to escape from the ACH program. There are plenty of narrow escapes and harrowing experiences in this debut novel to keep readers enthralled and turning pages. Already working on her second novel, Raegan can be contacted at laneraegen@gmail.com. Her self-published novel sells for $10. “House Guests and Ghosts,” Susan Mariani’s “Very True Stories of the Paranormal,” is not a book that I recommend reading when you’re alone at night. I tried it, and found myself covered in goosebumps after only a few chapters. Ms. Mariani is also a friend, any my longtime hair dresser who lives in Cedar Hill. She is also a very talented artist, and proves to be a very talented writer as well with this book. Based on stories she has collected for some time from friends and numerous family members, the ghost sightings are all the more chilling to read about since they are said to be real. As one of 11 children born to the Mariani family in Akron, Ohio (a family of story tellers, according to the author) she had a treasure chest of stories to draw from. Many are centered on a historic home in Akron where Susan and other family members had lived. The self-published book is available by contacting Susan Mariani at SMarianiART@gmail.com. “Paisley Rabbit and the Treehouse Contest” is Steve Richardson’s new children’s book about a female rabbit who decides to compete in a construction project. With delightful illustrations by Chris Dunn, this picture book should inspire young readers to believe they can do anything if they try hard enough. 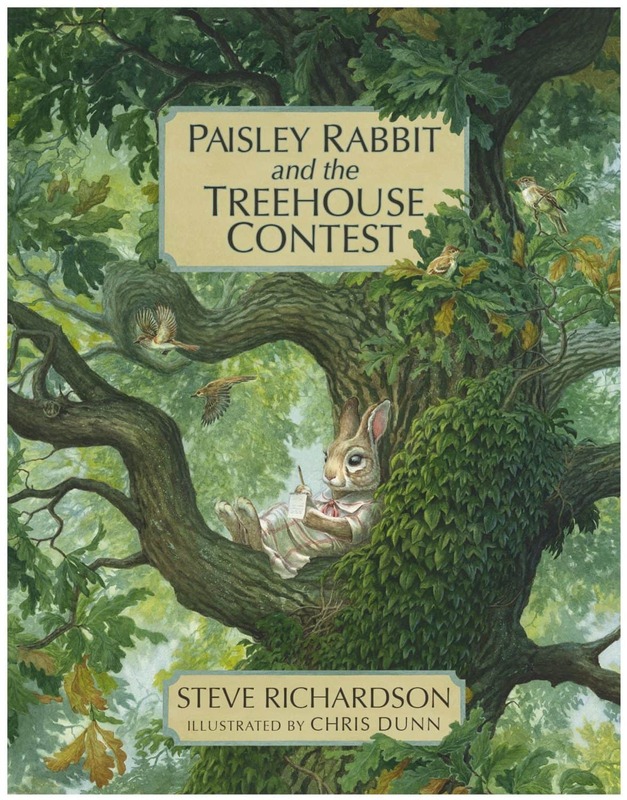 “Paisley Rabbit” also shows the importance of planning ahead for best results. Most importantly, Paisley demonstrates a kind heart by trying to help others, starting with her younger brother Davy. She also shows appreciation to everyone who helped her achieve her goal of building the award-winning tree house. Parents will like the subtle way Richardson, a three-time award-winning author from Albuquerque, New Mexico, gets messages about kindness and gratitude across to his audience. 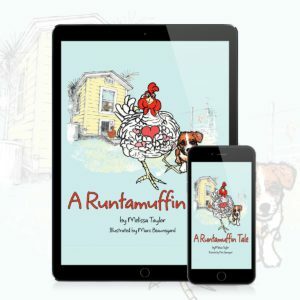 “A Runtamuffin Tale,” written by Melissa Taylor and illustrated by Marc Beauregard, is another delightful children’s picture book. The author loves animals of all kinds, and lives with her husband, 14 chickens and myriad other animals on a farm in south Florida. Her imaginative dialogue between horses, dogs, chickens and other critters rings true, thanks to her first-hand experience with these animals. Runtamuffin is a loveable hen who grows from being the runt of the litter to become leader of the group and everyone’s favorite barnyard critter. Runti believes in overlooking differences in size or appearance to become friends with all the other animals. This book will appeal to ages 10 or younger, especially those who love animals. Parents will also enjoy reading the book with their children. More information about the book can be found at runtavision.com.